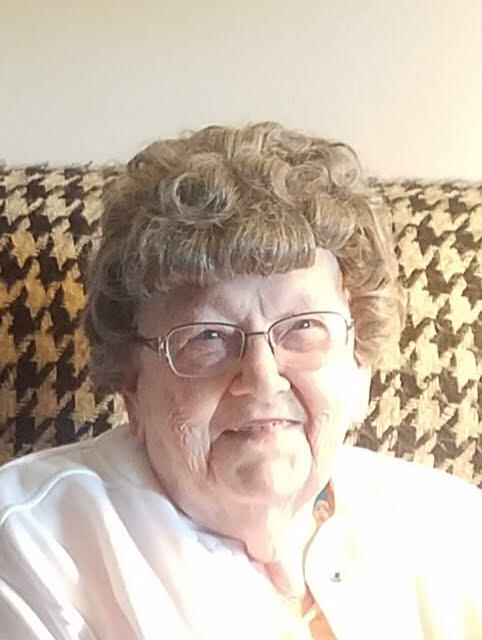 Barbara Halverson, age 93, of Spencer, Iowa formerly of Sioux Rapids, Iowa died on Thursday, January 10, 2019 in Spencer. Funeral services will be held on Wednesday, January 16, 2019 at 3:00 p.m. at the First Lutheran Church in Sioux Rapids. Visitation will take place one hour prior to the service at the church. Burial will be in the Lone Tree Cemetery in Sioux Rapids. In lieu of flowers, the family requests that memorials be made in Barbara's name.The Sliefert Funeral Home in Sioux Rapids is in charge of the arrangements. Barbara Mae Wade, the daughter of Lindsay and Hazel Ferne (Fearno) Wade was born at Sac City. Throughout her youth, Barbara lived in Sac City, Newell, Hanover, Fonda and Alta. She was a 1943 graduate of the Alta High School. Barb continued her education at Buena Vista College where she received her teaching certification. Following her college graduation, she taught 4th grade in Galva for two years and 4th grade in Sioux Rapids for two years. On May 23, 1948, Barbara was united in marriage to Junior R. Halverson at the First Lutheran Church at Sioux Rapids. Barbara and Junior were blessed with three children: Gary, Dennis, and Debra. They were engaged in farming for 40 years before moving into the town of Sioux Rapids on October 27, 1988. Barbara was a faithful and active member of the First Lutheran Church and dedicated in service to her church. She had been a Sunday School teacher for many years and was Past President of the WELCA, a past secretary-treasurer of the WELCA and a member of the Women’s Church. Barbara was an auxiliary member of the Graeber-Rowe American Legion and a member of the Great Lakes Antique Car Club. Barbara, Junior and the grandchildren could be found participating in community parades throughout northwest Iowa. She especially enjoyed spending time with her grandchildren and great grandchildren and was very proud of them. The primary focus of Barb’s life was being a loving and devoted, wife, mother, grandmother and making a nurturing home for her family. In her younger years, Barb did sewing and mending for her family. She was very active in the Sioux Rapids community and assisted with BINGO at the American Legion Building and working at the Food Pantry. Barb flourished when she made her home at the Riverview Terrace and made everyone there feel welcome and a part of all of the social activities. Barbara’s life is celebrated and honored by her children: Gary (Kathie) Halverson of Spencer, Iowa, Dennis Halverson of Sioux Rapids, Iowa, and Debra (Kurt) Geisinger of Sioux Rapids, Iowa; her grandchildren: Heath (Melanie) Halverson, Hunter (Angie) Halverson, Courtney (Doug) Schwartz, Brent (Ellie) Carmichael, Jason (Tiffany) Halverson, Jeffrey (Nicole) Halverson, Joshua (Danielle) Halverson, Elijah Geisinger, Todd (Sheena) Geisinger, and Jonathon (Beth) Geisinger, 22 great grandchildren, two sisters-in-law: Charlotte Wade and Helen Anderson, her brother-in-law: Norman (Jean) Halverson, nieces, nephews, other extended family and his many friends. She was preceded in death by her parents, her husband, Junior, on June 21, 2012, her grandson: Nicholas and three brothers: Warren, Lester and Leslie.